WITTMANN launches a host of new products at the K 2013 exhibition under the theme “Power for the Future”. 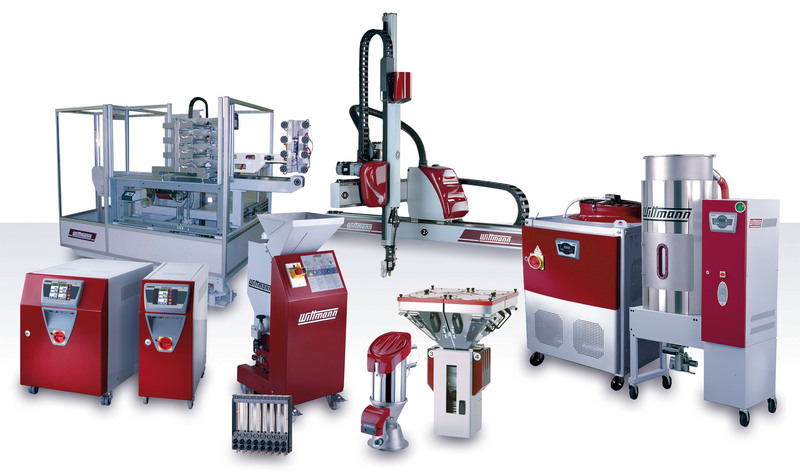 Once again, WITTMANN’s unique style presents itself in the form of new products and innovations for all areas of plastics processing: robots and automation systems, mold temperature controllers, granulators, material drying, conveying, and blending. These solutions will all be exhibited at booth 10 A04 in an area of 460 square meters (5,000 square feet) of exhibition space. Meanwhile WITTMANN BATTENFELD will exhibit injection molding machinery and complete production cells in Hall16, booth D22. The accent here will be on the presentation of complete work cells, integrating the very latest WITTMANN BATTENFELD molding machine models, and each properly matched up to innovative WITTMANN robot and peripheral equipment solutions. WITTMANN has developed and launched the W842 robot in response to molder needs for greater payload and versatility around mid-sized molding machines of up to 800 tons of clamping force and higher.The chief technical difference of the new W842 is a rack and pinion drive for the vertical axis. The W842 can thereby handle 25 kg of payload. The length of the horizontal axis is very variable (and it could be executed up to a length of about 20 meters). The robot can be fitted with numerous automation features from the WITTMANN automation stable, such as servo rotational axes, spare I/O-modules and vacuum and gripper circuits. 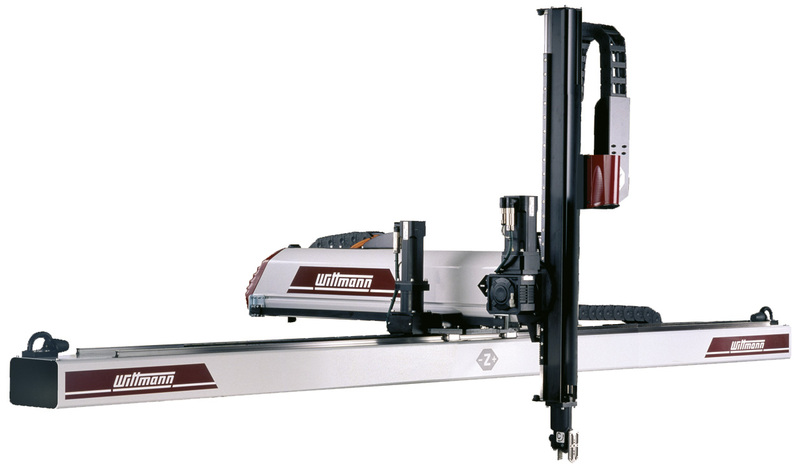 The features of the WITTMANN R8.2 robot control from WITTMANN include real-time functions such as TruePath, SmartRemoval, EcoMode, Find’nPick, SmartStart, and DynamicDrive as well as a connection to the Internet – enabling the simplest operation and the highest productivity. 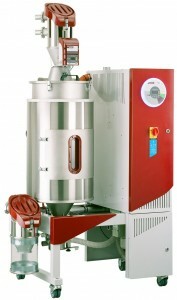 The new DRYMAX Aton2 is a further development of the WITTMANN segmented wheel dryer. The forerunner model DRYMAX Aton had already set the industry benchmark for energy efficiency – but the DRYMAX Aton2 goes even further. For example, the thermal energy refeed via the so-called 3-Save Process makes for unbeatable efficiency, taking only what’s needed from regeneration energy in order to dry the molecular sieve in the wheel’s segments. Even with this amount of energy, the material drying process air can also be heated up to a certain extent. If, in addition, a limiting value for the dew point is set, the DRYMAX Aton2 automatically optimizes the drying process through its so-called EcoMode. Damp conditions bring out the advantages of the DRYMAX since the drying temperature – the dryer’s capacity – is determined by the preset dew point that, for its part, is set by the respective climatic conditions. 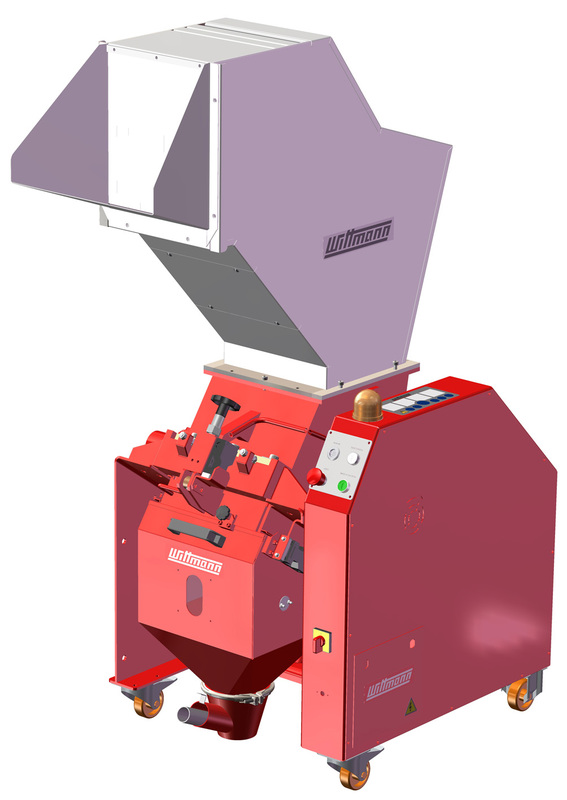 At K 2013 WITTMANN will present a complete drying battery that consists of a DRYMAX central dryer and SILMAX drying hoppers with an overall volume capacity of 900 liters. The hoppers are equipped with the so-called SmartFlow functionality: breath-responsive activated air control flaps. The battery’s hoppers are – also breath-responsive – provided with dry air coming from a DRYMAX E300-FC central dryer. The dryer comes with a frequency converter and automatically self-adapts to the respective requirements. WITTMANN central dryers are easy to operate. Above all, they are highly cost-saving and energy efficient and avoid over-drying polymer materials. Injection molders always want the highest efficiency in production. This can be a problem in regard to material drying, because possibly not all of the existing drying hoppers are permanently in use. As a result, the capacity of the dryer can be reduced, because less drying air is required. 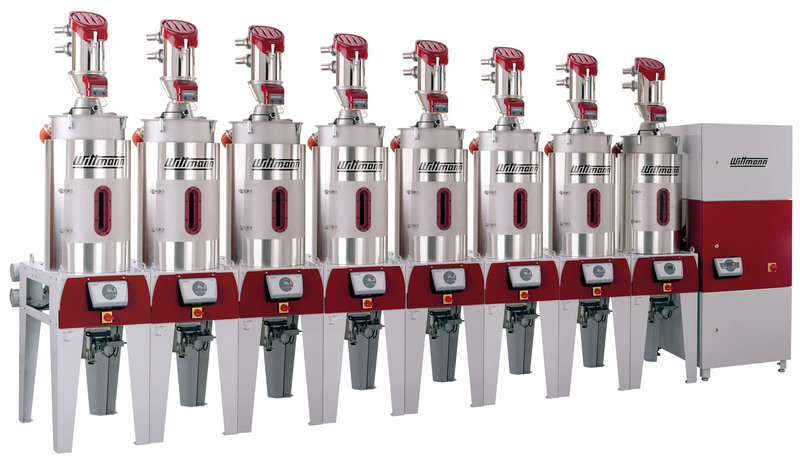 WITTMANN DRYMAX central dryers here are offering the highest degree of flexibility, and these units also can be operated as parts of emergency/breakdown set-ups. At the K 2013 Show, WITTMANN presents FEEDMAX single loaders as well as FEEDMAX B central material loaders. In close collaboration with WITTMANN’s customers, the loaders of the B series have been optimized continuously over the years. Today, they are the leading devices in regard to usability and process security. All the latches of a FEEDMAX loader can be opened easily without using a tool, thus allowing for a quick cleaning. Center section and material inlets are made of stainless steel, as well as the material outlet: the proven pneumatic material discharge shut-off valve. The material inlets are of a wall thickness of 5 mm, thus withstanding even glass fiber reinforced PA, and the discharge shut-off valve is providing the highest security. The center section of the FEEDMAX can be removed easily, and a center section made of glass can be attached as an alternative. This simple and effective measure increases the conveying capacity, and in addition it enables further visual control. WITTMANN presents its GRAVIMAX polymer blender models from the series 1 and 3 range that can be fitted with many different additional functions. The standard GRAVIMAX equipment also offers superior performance. For example, all plastic-contact components are made from stainless steel. The units also come equipped with two weighing cells and a highly efficient bowl mixer wherein the components are blended. This bowl mixer is designed to avoid the electrostatic charging of the masterbatch. 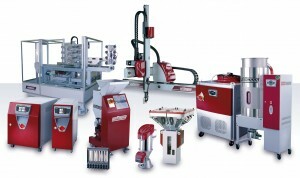 The flexible touch-screen control meets the most diverse demands of any plastics processor. The self-explanatory imagery and the possibility to enter each ingredient value in % are enabling an easy start-up. Furthermore, up to 120 different recipes – and their respective components – can be stored using arbitrary names. Beyond that, the control can exactly subsequently calculate all the materials that have been consumed during a production run or different processings of orders respectively. WITTMANN GRAVIMAX blenders use Real Time Live Scale (RTLS) technology. This revolutionary technology assures absolute batch-to-batch consistency. Large material savings through process accuracy are thus enabled. Directly cooled temperature controllers are suitable for all plastics processing applications where high cooling performance and high heating capacity (for a quick heating-up of the mold) are both required. 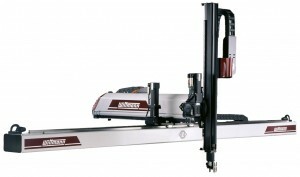 WITTMANN’s new models of the TEMPRO basic C120 series present much-reduced dimensions. WITTMANN now offers many variants of the TEMPRO basic C120 – in regard to different pumps and different heating and cooling capacities. And with the biggest version of this series, injection molders are also able to heat up molds weighing up to 10 tons to the desired operating temperature and within the shortest time period. The smaller TEMPRO basic C120 unit has dimensions of just 230 × 690 × 630 mm. 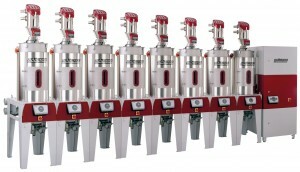 This particular unit can achieve a delivery rate of up to 200 l/min. It comes with a heating capacity of either 12 or 18 kW at a pump capacity of 0.75 or 1.5 kW. Furthermore, there are many options that can be chosen: serial interface, external sensor, alarm contact, internal bypass for relieving the pumps, and also manual mold purging. The most powerful model of the series has dimensions of 340 × 776 × 700 mm. Thus far, the heating capacity of directly cooled units had been limited to18 kW. But now, this TEMPRO basic C120 model is available with either 18 or 24 kW of heating capacity, and can also be adapted to heating capacity of 46 kW – this feature being entirely new. The respective pump capacities range from 200 to 280 l/min. WITTMANN’s flexible new MC 33 granulator makes its K 2013 debut. The new machine functions equally well beside-the-press or in a central role and can handle demanding work in the complete areas of injection molding and blow molding. The tough steel construction makes the MC 33 ideal for all in-line recycling of sprues/runners, PET preforms during mold start-up, and many other high-powered applications. 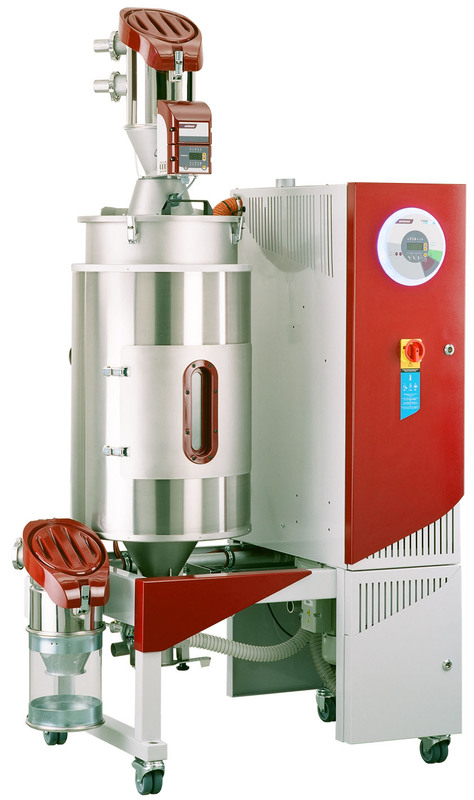 The granulator comes with a compact footprint, 7.5 kW power, and high throughput capacities of 100–150 kg/hr. It is easy to operate, and the functional design allows for a quick and smooth cleaning procedure. 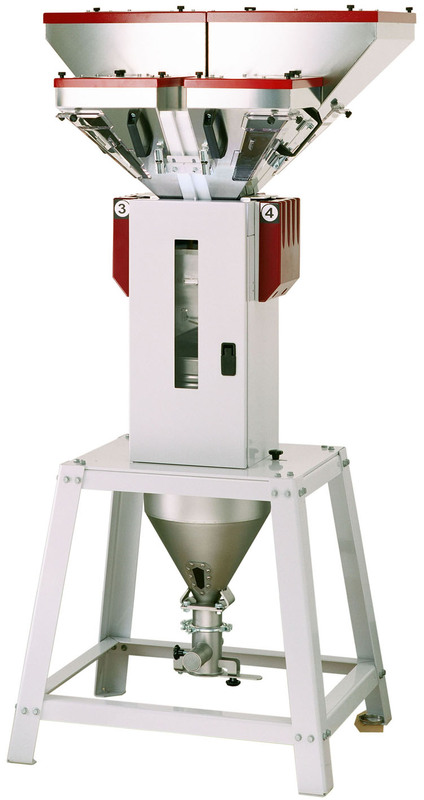 The infeed hopper is a double-walled steel construction, thus significantly reducing noise levels. For cutting, WITTMANN has chosen hardened cutting tools made from highest quality steel alloys – thus guaranteeing a long service life. The MC 33 collection bin has been designed with a 360° swivelling outlet, and allows for vacuum connection from any direction for more efficient vacuum unloading.